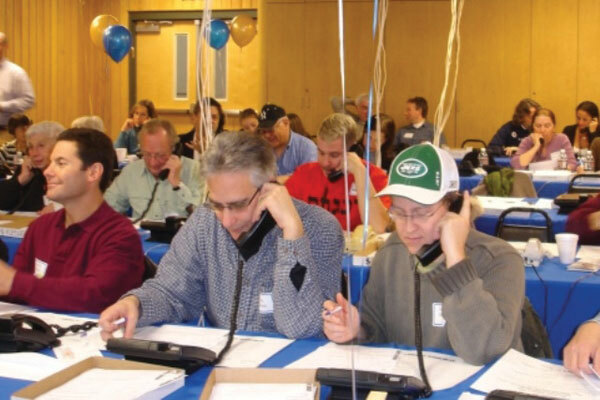 Community members pitch in to make calls at last year’s Super Sunday. Even though the fall season has barely gotten off the ground, the Jewish Federation in the Heart of NJ is gearing up for an earlier-than-usual Super Sunday, this time coming on Sept. 25. 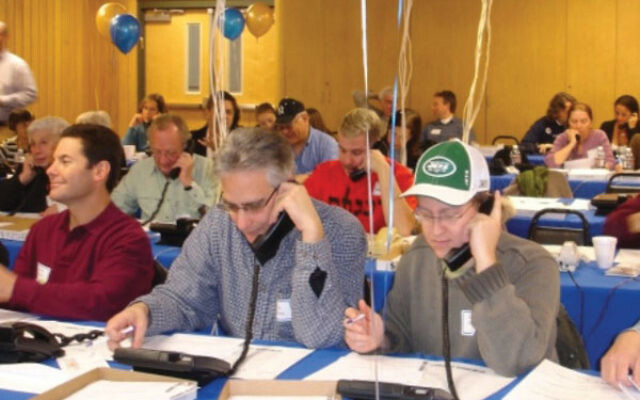 The annual call-athon will be held at the federation’s South River offices, where volunteers from day schools, synagogues, and other organizations and agencies that benefit from generous donations will do their part to make the day a success. Federation chief development officer Elena Herskowitz said the annual campaign, which ends on Dec. 31, is “on pace” to meet its $3.4 million annual goal. “Traditionally, the majority of our gifts come in during the final quarter of the year,” said Herskowitz, adding that the federation expects to be in the vicinity of the $2 million mark by the end of the event. Federation raised just over $200,000 at last year’s Super Sunday. Another $100,000 that had been raised weeks earlier through a related community call day was added to the overall Super Sunday figure. Schwartz, also first federation vice president, cited the serious predicament faced by local Holocaust survivors several months back when it became apparent there would be a shortfall in funds allocated for vital services. Once the federation became aware of the problem, “We reacted by creating a crowdfunding site within days,” said Schwartz. In less than a week the site raised about $200,000 on-line, which “went a long way to covering the shortfall,” he noted.